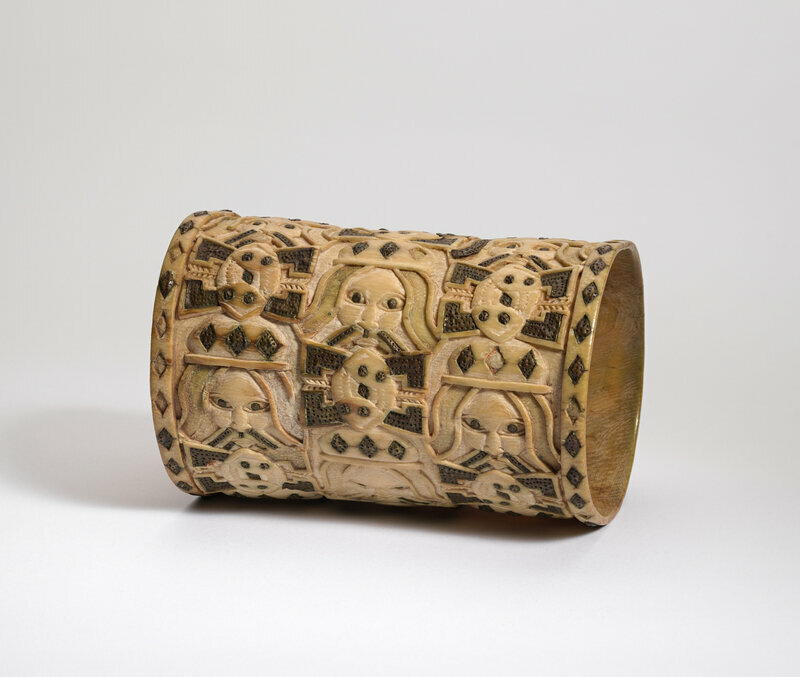 Pair of bracelets: Crocodile Heads, Edo peoples, Nigeria, Court of Benin, 17th–19th century. Brass, gilt. H. 5 1/4 x W. 3 3/8 in. (13.3 x 8.6 cm). Gift of Mr. and Mrs. Klaus G. Perls, 1991, 1991.17.80 & 1991.17.81. © 2000–2018 The Metropolitan Museum of Art. The oba and chiefs of Benin wear pairs of ornate bracelets at palace festivals. 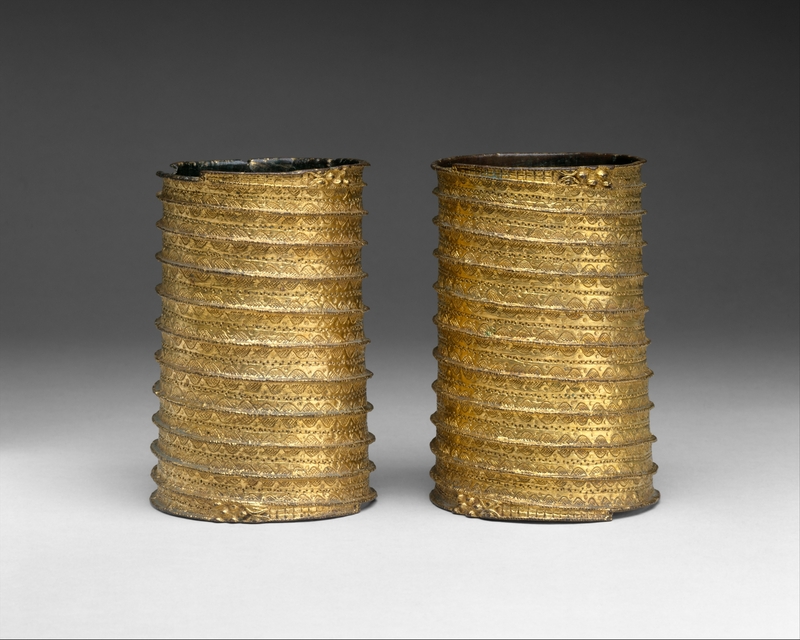 Long and cylindrical, these cufflike ornaments may be made of either ivory or brass and display imagery reflecting the exalted status of their bearers. The spiral bands of incised, crosshatched half-ovals and dotted lines, set within raised, striated borders, terminate at either end in elongated crocodile heads. The artist has taken great care to evoke the appearance and character of these animals. Perpendicular lines along the snouts, as well as rows of bumps on the forehead, suggest the distinctive texture of crocodile skin, while the close-set eyes with contrasting pupils evoke the watchful gaze of this dangerous animal. The depictions of crocodiles, as with other forms of aquatic imagery, associates the ruler with Olokun, god of the sea. 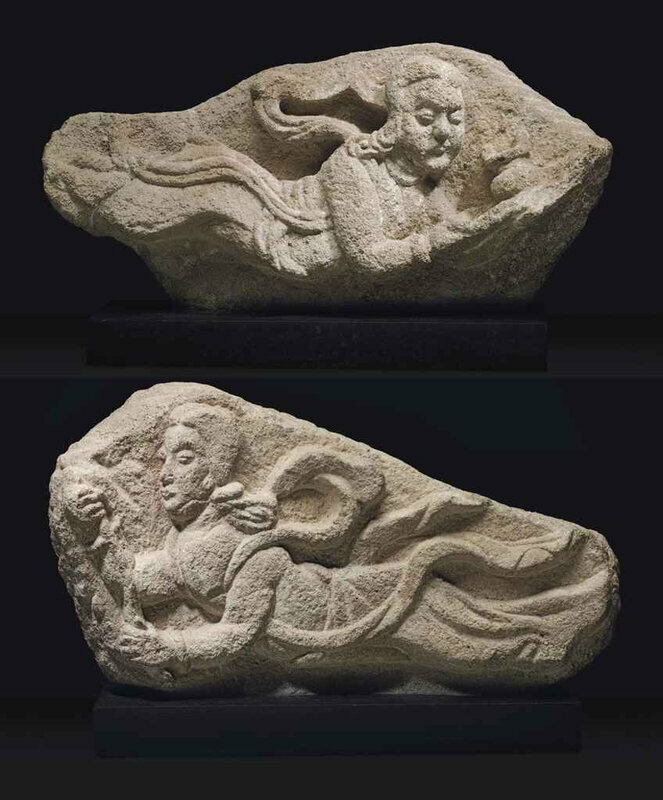 The ocean was conceived of as a major source of wealth and prosperity for the Benin kingdom, which benefited from overseas trade with Portugal and other European powers. A realm of unfathomable depths, it also served as a metaphor for the vast, hidden powers of the ruler. 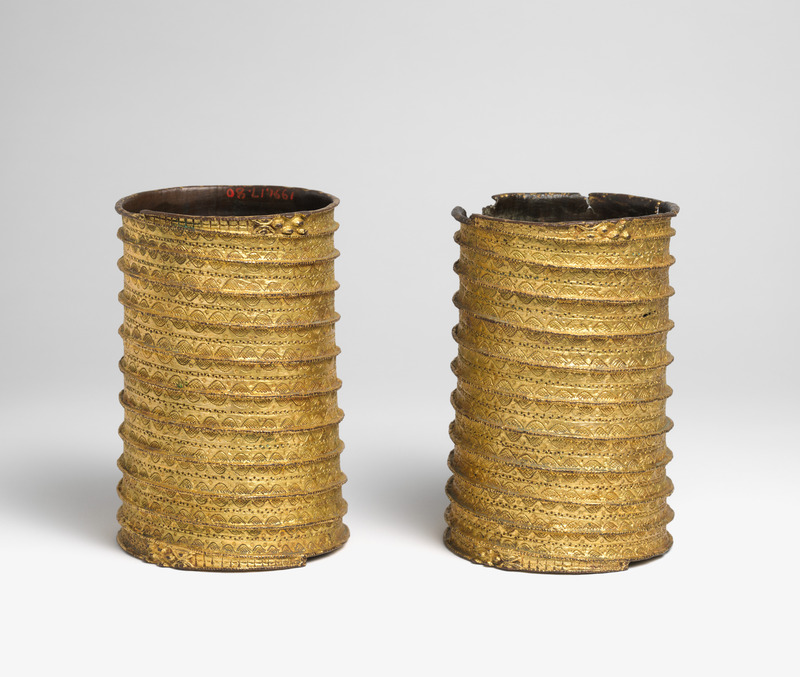 The surfaces of these bracelets are covered with a thin layer of gold, an unusual feature within a courtly tradition that rarely employed this precious metal. It is unclear when, or even if, the technique of gilding was introduced to Benin's brasscasters. Some scholars have suggested that a resident European craftsman may have been responsible for gilding these and other items at the court.